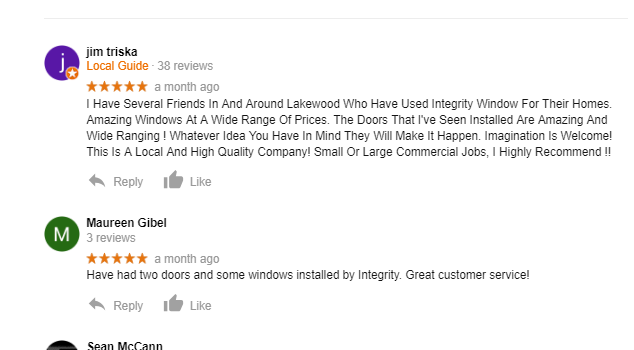 At Integrity Windows we’re always pleased to get more Google Reviews – especially when they’re 5-Star reviews. 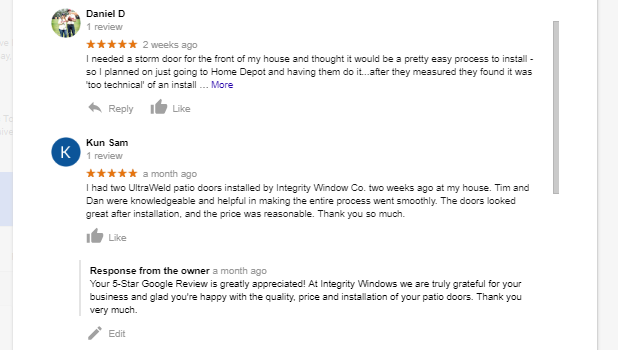 We make customer satisfaction a huge priority and see our business as a business making customers happy, not just a business selling windows. 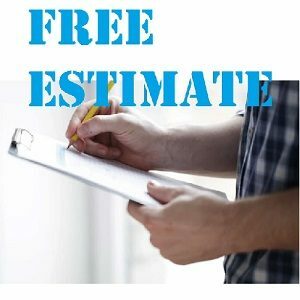 We have had all of the windows in our 1920’s home replaced by integrity since 2013, with the last 8 done in 2017. 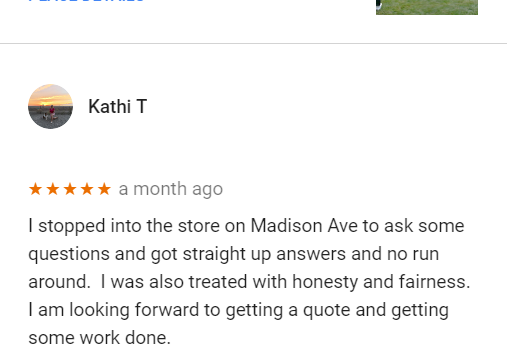 Everyone that works for them is friendly and top-notch. 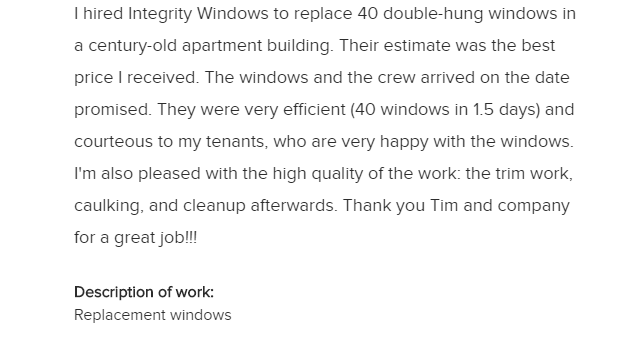 The installers are timely, courteous, and detail oriented.